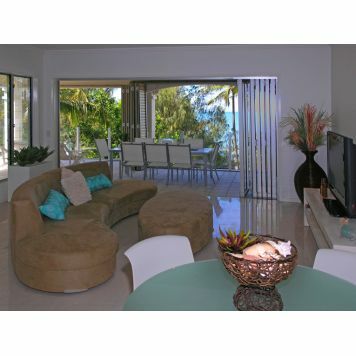 Island Views Apartments offer a relaxed and luxurious beach side stay in one of Palm Coves prime locations. Our accommodation is designed to provide the simple comforts of home and bring this together with the laid back lifestyle that the hotels and resorts in the tropics are renowned for. Island Views apartments offer unsurpassed decadence that will suit even the most seasoned travellers. The rooms are appointed in such a way that they leave nothing to be desired and everything to be enjoyed. 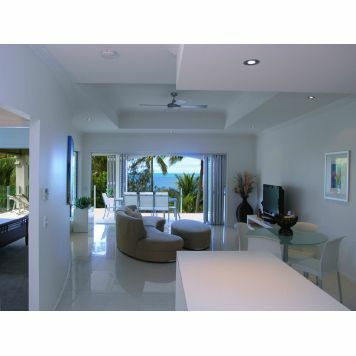 This Palm Cove accommodation comes complete with premium fittings, contemporary furniture, décor and elegance that few other Palm Cove resorts or hotels can match. But the real allure of such indulgent accommodation is the uninterrupted views from your expansive balcony overlooking the sandy shores of the Coral Sea. 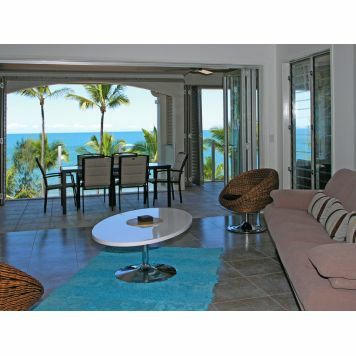 Island Views truly has one of the best views available in Palm Cove. 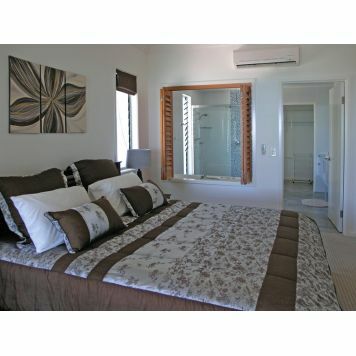 The stunning beach views are the perfect sweetener for this already marvellous accommodation that provides for a truly unforgettable tropical Queensland experience. 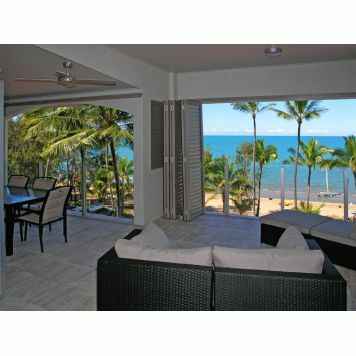 There isnt a lot more you can ask of any Palm Cove hotel or resort that Island Views doesnt provide. 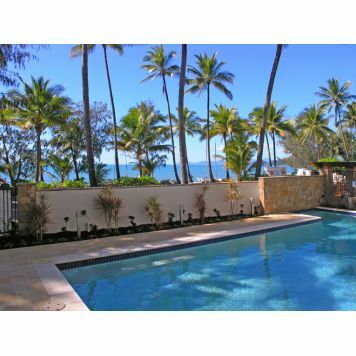 Palm Cove is well known for its relaxing ambience and gorgeous natural setting and at Island Views you will discover Palm Cove accommodation that is set to deliver the holiday of a lifetime. The Boutique Collection is the check in and reception desk for all the suites in The Boutique Collection of Apartments. This centralised check in makes it easy for our clients, and we can then guide you individually to your chosen apartment suite in each of our properties. 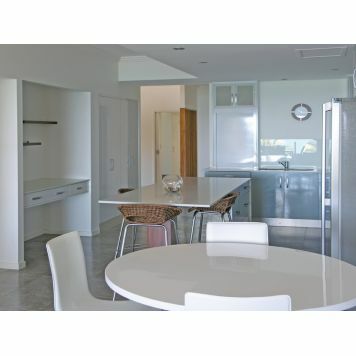 The reception is located at 137 williams Esplanade Palm Cove and is open from 9am until 5pm every day. Please contact reception if you are arriving late. Palm Cove offers an ideal hub for trips to the reef. Some of the most exotic and rare diving and snorkelling in the world are a short distance from the city of Cairns, courtesy of dozens of reef tour companies. This exotic playground twice the size of Tasmania, is waiting to be explored. The Great Barrier Reef has been a focus point for the eastern coast of north Australia for centuries. The magical colours of the reef intrigued Captain James Cook, an English captain who claimed Australia for Britain in 1770, until he accidentally struck the sharp coral and punched a gaping hole in his vessel Endeavour. The explorer was able to repair the hole in his boat in the Cooktown River and return home, but not without experiencing the full wrath of the reef. Since that time, the Great Barrier Reef has been a constant source of fascination for everyone who encounters it.